This is our Row by Row for 2018! 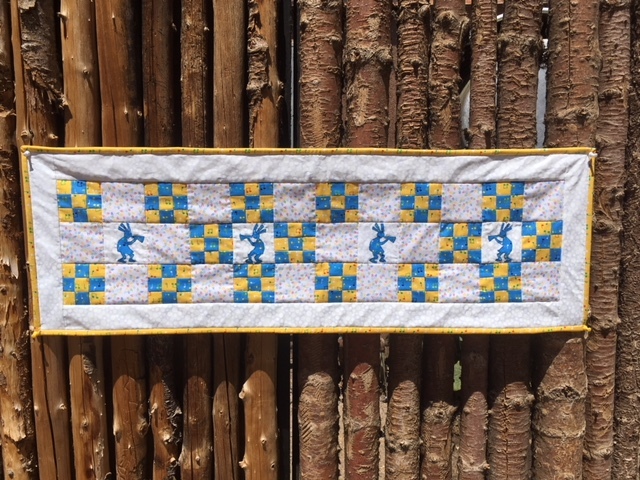 The pattern and kits will be available in our store beginning June 21, 2018. 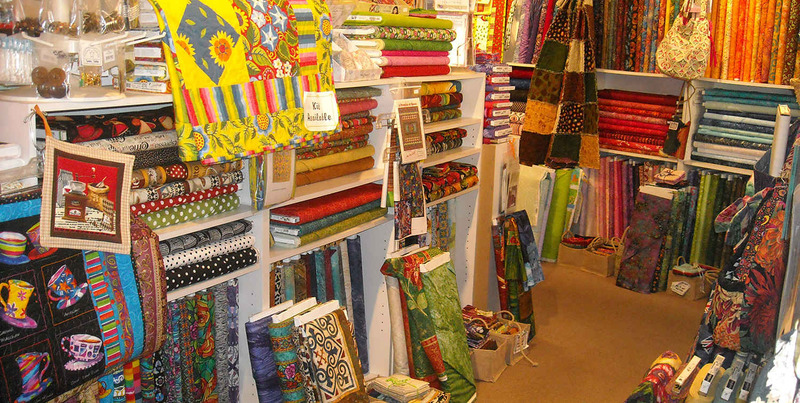 It's always exciting when the creator of one of our fabric lines comes into Taos Adobe Quilting. 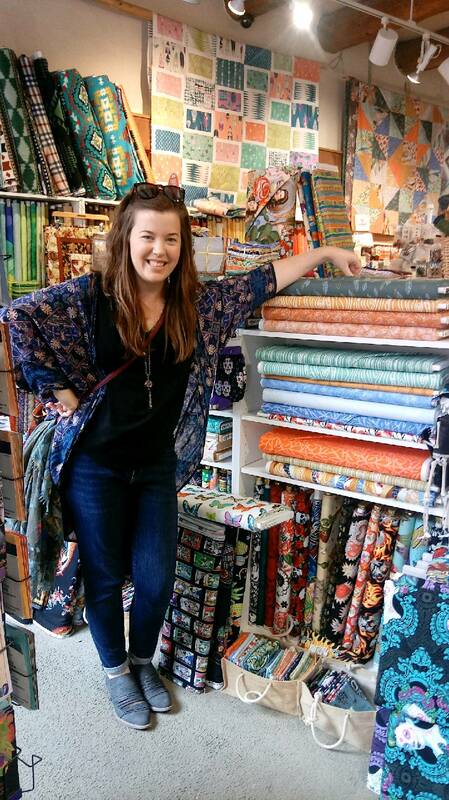 This is Shannon Brinkley, the designer of the Dryad line, posing by the fabric she designed. 2018 Row By Row License Plate: "Taos Rocks!"